While we at Dance Obsession love each and every one of our classes, it’s pretty hard not to admit that one of our favorites to teach is our Mommy and Me dance class. Held on Saturdays from 9:15 AM – 10:00 AM for children from 1.5-2 years old, this kids dance class in Palm Beach Gardens is more than just a blast to watch, but helps the toddlers in more ways than just putting a big smile on their face. Also, to the Dads out there, don’t feel left out because of the name of the class. You are more than welcome to partake! Let’s take a look at some of the lessons and other benefits this dance class provides. Children under the age of two have a difficult time socializing with other babies. They’ve been with their parents almost every second of their life so far, so it can be a scary thing to interact with other toddlers. Thankfully, you’ll be there with them. While it is completely interactive, we also push the young ones to meet new friends and explore a little bit. With you right there in the room, they’ll feel safe to wander around a bit. You’ll also enjoy getting to know some of the other parents in the room! Also, the class is focused on letting the children have a great time while also bringing them out of their comfort zone a bit. With Mommy (or Daddy) giving them encouragement as they learn the basics of ballet and tap, they’ll learn that they can accomplish these simple dance moves, and their confidence will grow with each class they attend! By having the toddlers learn about the foundations of dance, they’ll be movin’ and a-groovin’ all throughout the dance studio! Not only will this help them build (tiny) muscles, but will also enhance their coordination as well as balance! Especially these days with children spending more time on their tablets and smartphones than outside, it’s important for your children to learn from a young age that living a healthy lifestyle isn’t all about eating your veggies, it can be extremely fun! When they realize this, they’ll be excited to partake in other healthy activities and sports such as soccer, gymnastics, and (of course) more dance classes! We know that life can be hectic. Whether it’s your job, raising your other children, or just taking care of day to day necessities; it can be hard to find fun and engaging bonding time with your baby. This is an opportunity for you have beneficial bonding time in an engaging environment! You’ll be able to laugh and play together, and your child will realize just how much fun Mom (or Dad) can be! Maybe the best thing about Mommy and Me Dance Class is how enjoyable it truly is. This doesn’t go just for you and your children, but our instructors as well! You’ll immediately see that everyone has a smile on their face, and the children are all eager to learn and grow. Even if you might be having a rough day, we promise that this class is the best remedy for a funk mood. Also, your child will begin looking forward to the time you share together every Saturday! 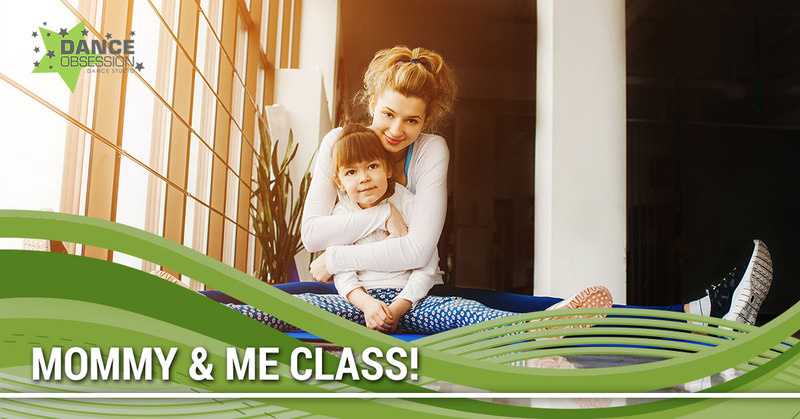 We actually don’t know who benefits the most through our Mommy and Me Class, the parents or the kids? Everyone has fun, the children get the chance to learn, and the parents get to escape and find their inner youth as well! If you and your child are looking for an enjoyable and knowledgeable experience to take together, be sure to sign up today! We also offer countless other dance classes for when they are old enough! Following Mommy and Me, your child can become part of our Future Star Program, and if they stay motivated and love to dance, they can eventually join our incredible competitive team! 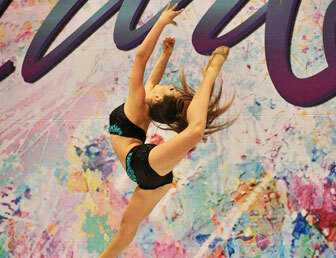 Here at Dance Obsession, we’re happy to be your dance studio in Palm Beach Gardens. If you have any questions or concerns, don’t hesitate to contact us now. Let’s get to dancing!